Auto accidents are notorious for wrecking bodies and lives as well as vehicles. If you've sustained an auto injury, you may be wondering how you can obtain relief from your debilitating symptoms and get your body back into good working order again. At times like these, Armstrong Chiropractic can turn out to be your strongest ally. 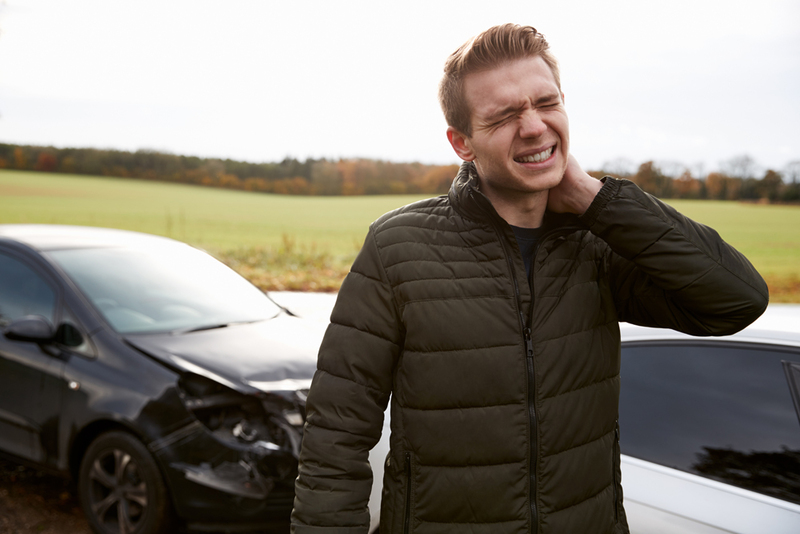 Our natural, non-invasive forms of conservative care with our chiropractor in Temple can help you move past your auto injuries and get back on life's highway. You might be shocked to learn that auto injuries can occur even when your car seems to be barely moving. But consider that a typical car, truck or SUV may weigh thousands of pounds. However fast it's moving, if it comes to a sudden stop, it will transfer momentum force to your body. This can cause physical components to be become dislodged or send them flying around beyond their intended range of motion. The latter is best illustrated by whiplash, in which your unrestrained head flies back and forth, yanking and damaging your neck in the process. If only one of your shoulders is restrained, your upper back may twist to the point that muscles are torn and ribs are dislocated. Down low, your lumbar spine and its discs may be pushed out of position, pinching the sciatic nerve to cause both back pain and leg problems. Even feeling fine after an auto accident can be a bad thing - if in fact, you're not fine at all. The shock of a traumatic accident can flood your body with adrenaline, which can delay the onset of symptoms. As a result, you put off getting the evaluation and treatment you desperately need. You're making the right choice when you visit Armstrong Chiropractic immediately following an auto accident. Our experienced chiropractor can study your X-rays, symptoms, and other diagnostic factors to determine the extent of your injuries. We can then administer chiropractic treatments such as the Palmer Technique or Gonstead Technique to reposition misaligned joints and herniated discs. We can also prescribe massage therapy, corrective exercises and other safe, conservative therapies to help you manage your pain and repair injured, inflamed soft tissues. Your car may have been "totaled" by an accident, but your body doesn't have to suffer a similar fate. Get chiropractic treatment for auto injuries at Armstrong Chiropractic. Our Temple chiropractor can restore your body to its optimal potential. Call (254) 778-5575 today to schedule a musculoskeletal evaluation!